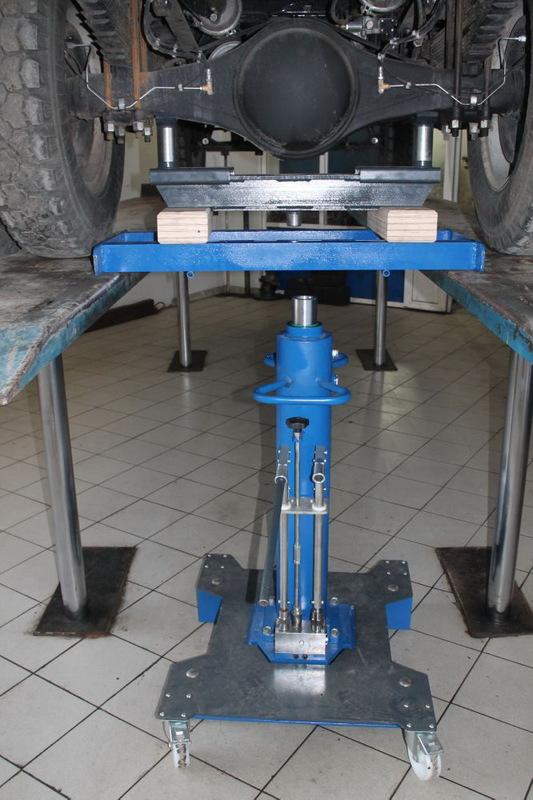 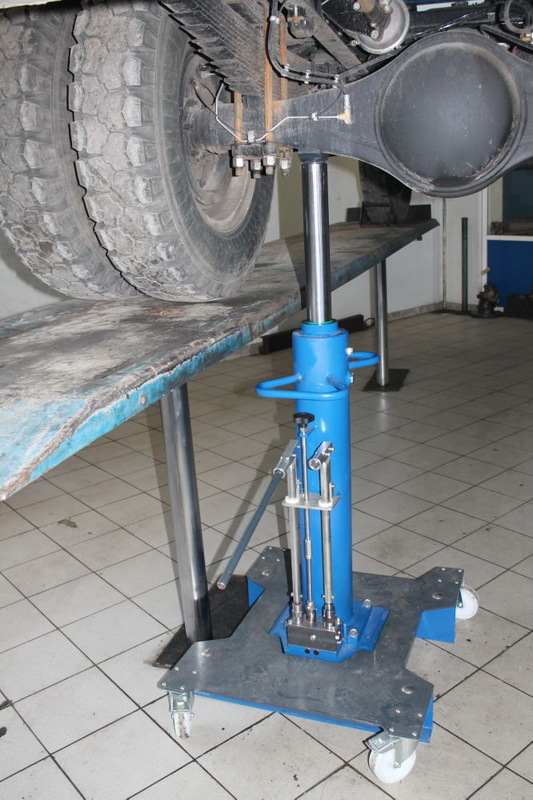 Is able to lift cars, trucks, buses when performing maintenance, repairs, diagnostics and tool control. 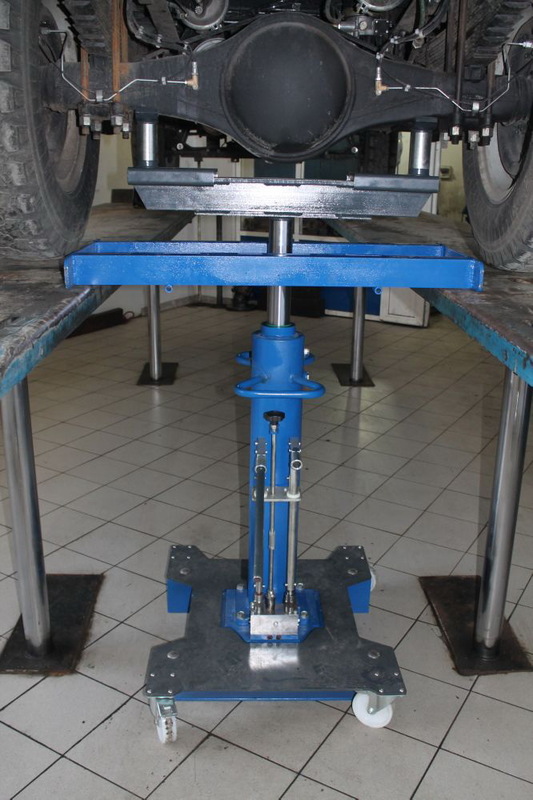 Universal platform in the form of a parallelogram des igned to repair vehicles with different wheelbase and track width. 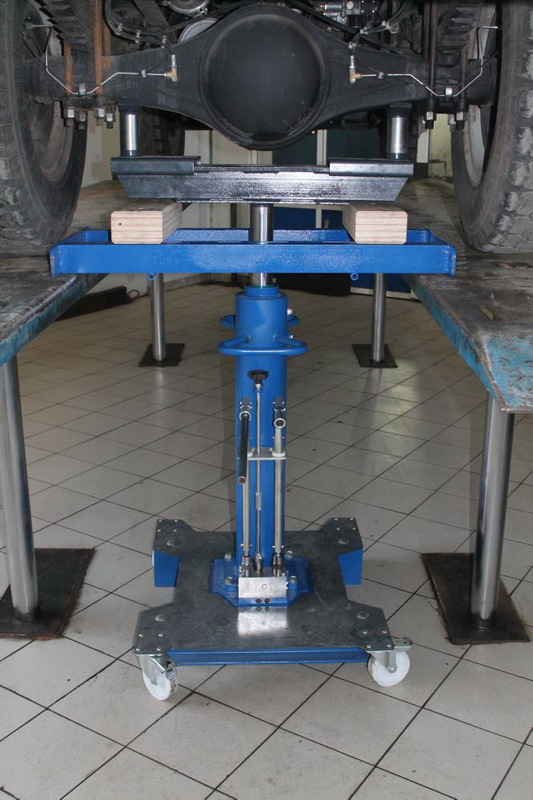 Security is ensured by the use of hidrotambo on each cylinder and duplicated mechanical locking devices on right and left side of the platform.